1.) Beat your eggs and sugar until it doubles in size. In a pot bring your milk to a boiling point. Let the milk cool down and add your olive oil. Combine your milk with your egg mixture. 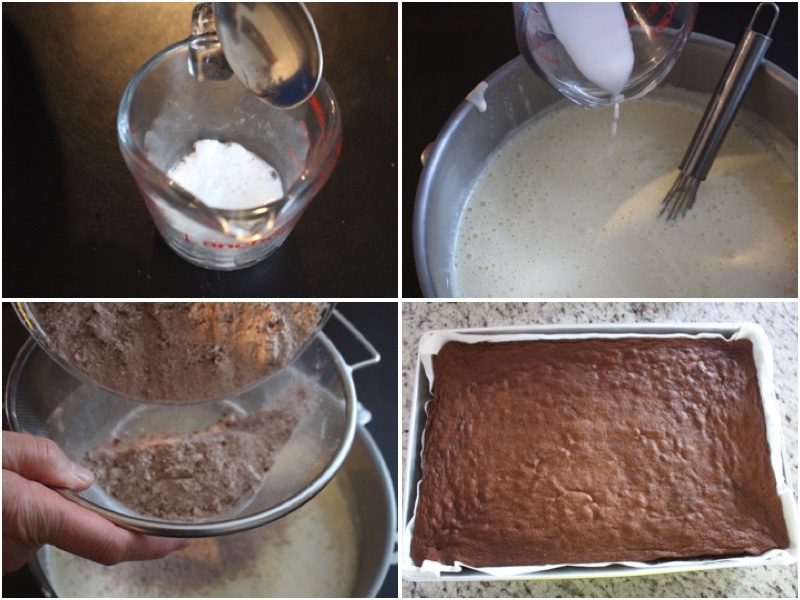 In a separate bowl mix your cocoa powder, vanilla sugar, and flour. 2.) In a cup mix your vinegar and baking soda. While its bubbling add it to your egg mixture and mix well. Carefully sift your cocoa powder mixture into your dough and mix together well. Put parchment paper into a 22″ x 14″ baking pan and add your dough. Bake for 35 minutes on 350ºF. Continuing let your cake cool down on a drying rack. 3.) 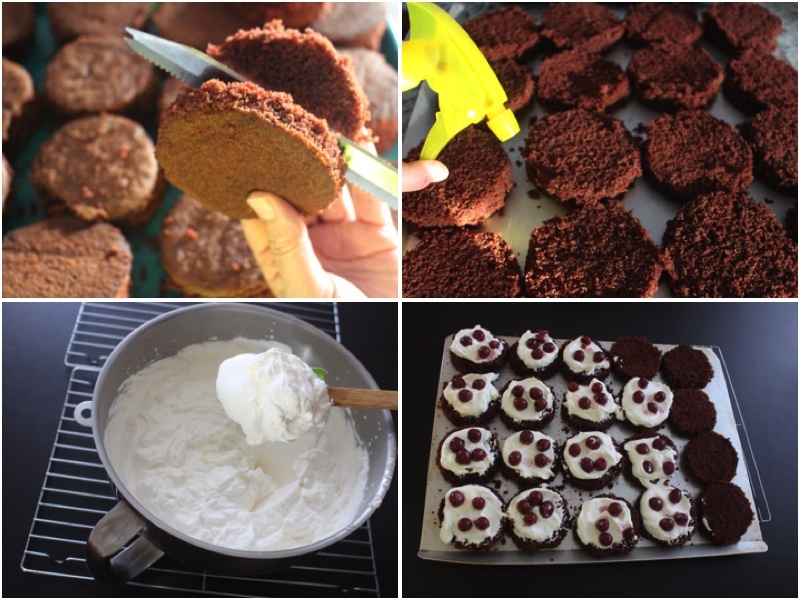 Take a glass and use it to cut out your mini cakes, then cut each one in half with a knife. Using cherry juice spray each mini cake and wait for it to soak in. 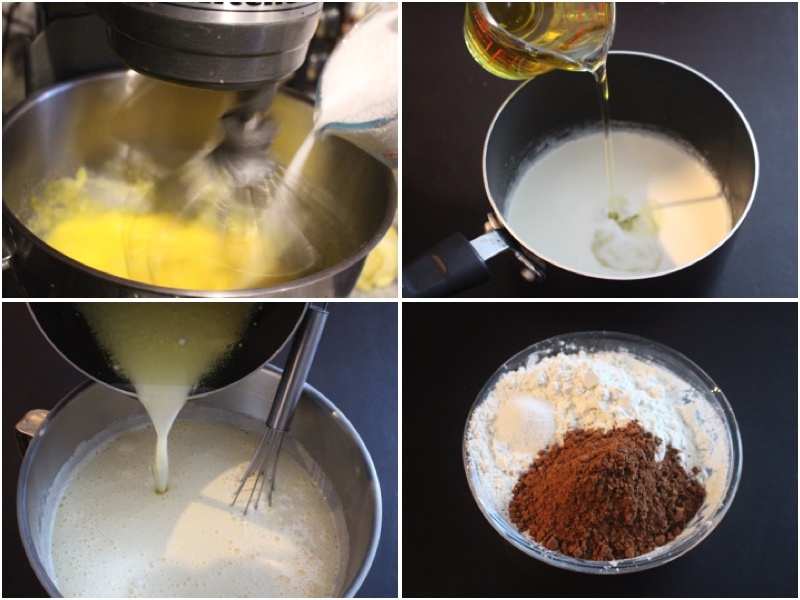 Beat your heavy cream and cheese cream, also add your condensed milk and mix again. 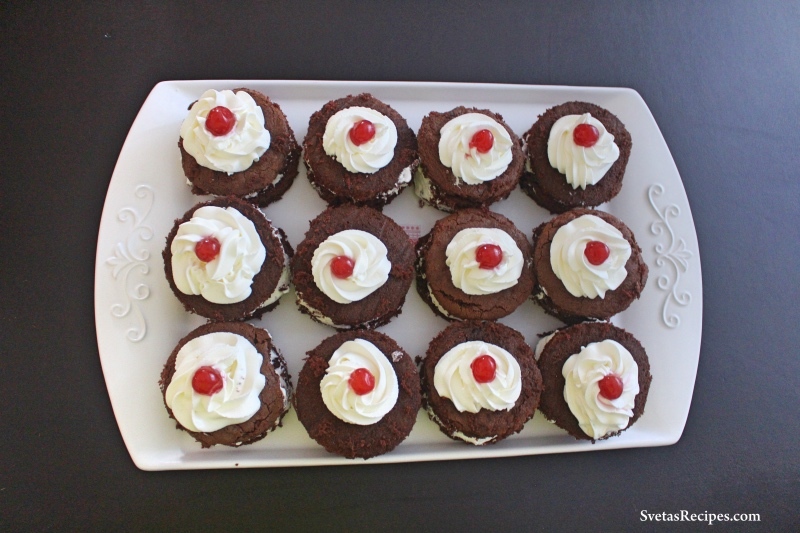 Place cream on each mini cake and add 4 cherries, after place your second layer on top. 4.) Using a decorating bag pipe out a rose and put a cherry on top. Place on a serving dish and Enjoy. Beat your eggs and sugar until it doubles in size. In a pot bring your milk to a boiling point. Let the milk cool down and add your olive oil. Combine your milk with your egg mixture. 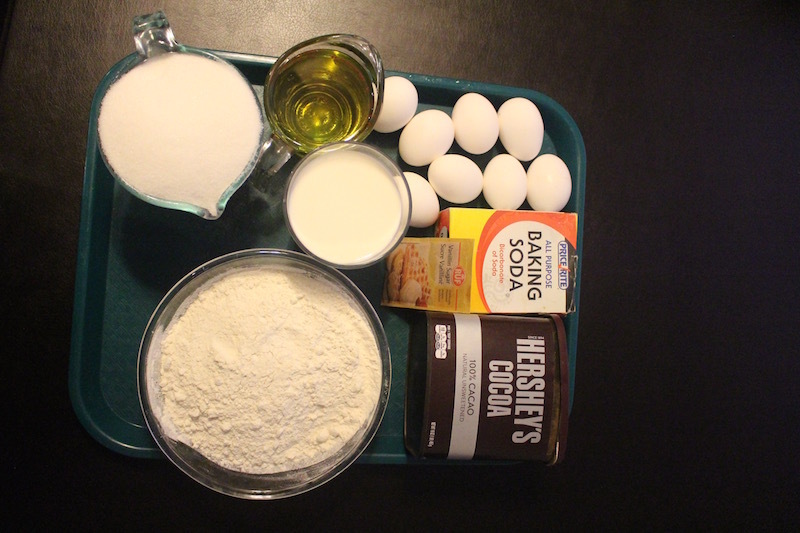 In a separate bowl mix your cocoa powder, vanilla sugar, and flour. In a cup mix your vinegar and baking soda. While its bubbling add it to your egg mixture and mix well. Carefully sift your cocoa powder mixture into your dough and mix together well. Put parchment paper into a 22" x 14" baking pan and add your dough. Bake for 35 minutes on 350ºF. Continuing let your cake cool down on a drying rack. 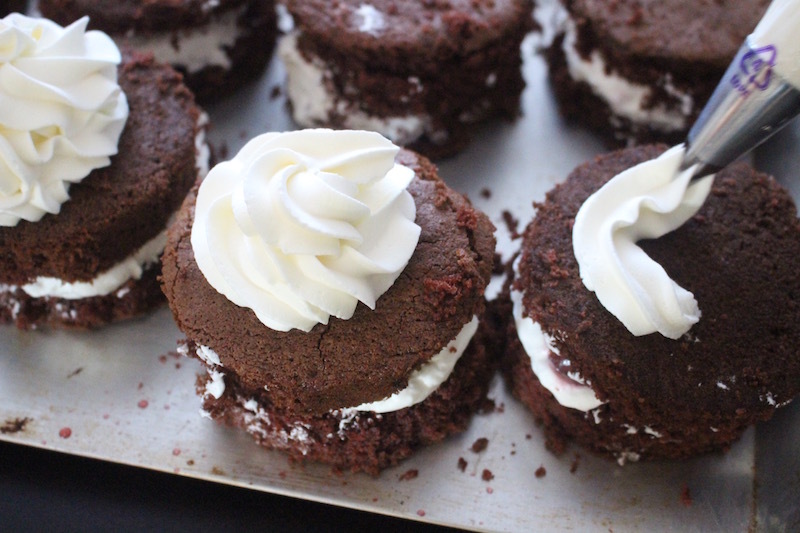 Take a glass and use it to cut out your mini cakes, then cut each one in half with a knife. Using cherry juice spray each mini cake and wait for it to soak in. 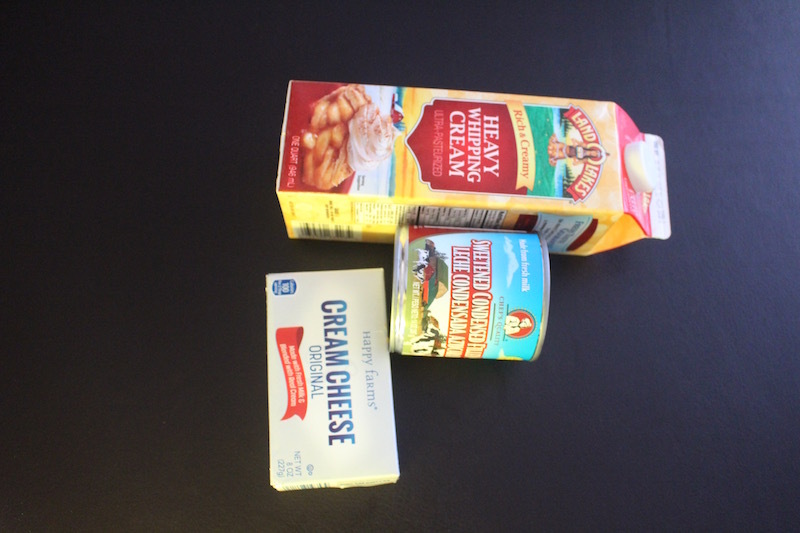 Beat your heavy cream and cheese cream, also add your condensed milk and mix again. 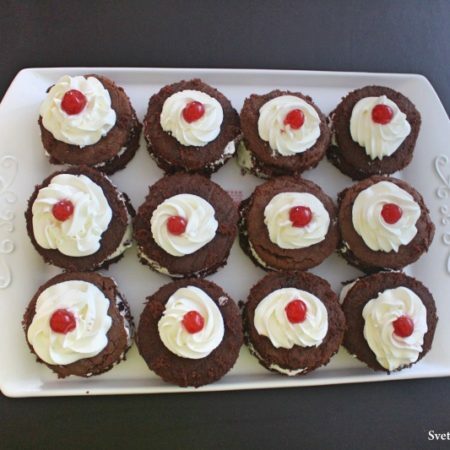 Place cream on each mini cake and add 4 cherries, after place your second layer on top. Using a decorating bag pipe out a rose and put a cherry on top. Place on a serving dish and Enjoy. 4 ст.л. муки? Это все что нужно для этого рецепта? вибач за мою помилку насправді 4 чашки (Cups) просіяного борошна.